3. To make the cheese sauce, pour the milk into a saucepan and add the bay leaf peppercorns and onion. Heat gently to just below boiling point, then remove from the heat, cover and allow to infuse for 10 minutes. Strain the milk into a jug. In a separate pan melt the butter and sprinkle in the flour and cook over a low heat, stirring constantly for 1 minute. Remove from the heat and gradually stir in the warm milk. Return to the heat and bring to the boil, stirring. Cook, stirring until thickened and smooth. Stir in the mustard and both cheeses, then season to taste with salt and pepper. 5. Preheat the oven to 160°C/Gas mark 3. 6. 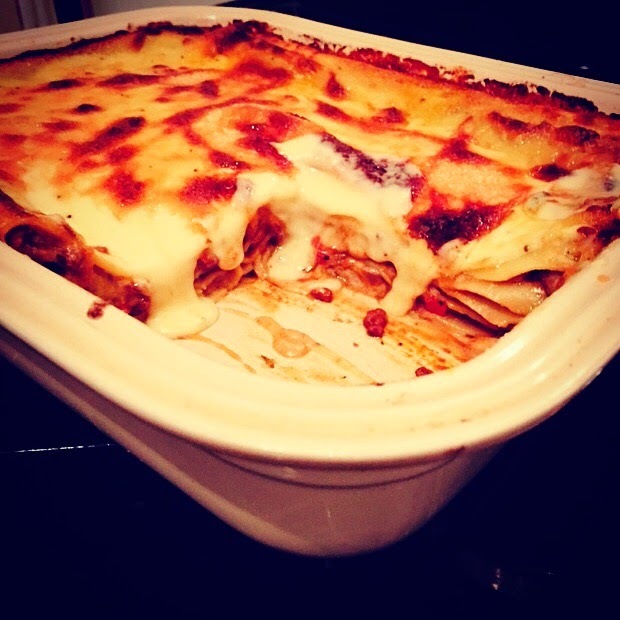 To assemble the lasagne, grease a oven proof dish, spread a spoonful of meat sauce over the base of the dish. Add a layer of lasagne sheets and top with one third of the meat sauce, then drizzle over some cheese sauce. 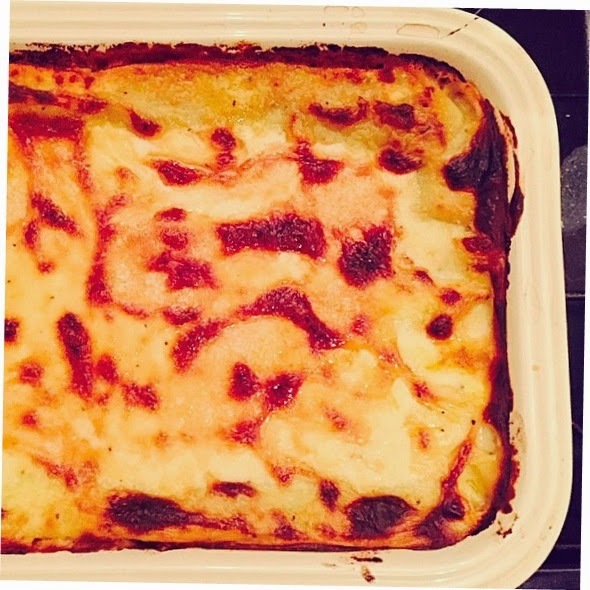 Repeat this and top with a final layer of lasagne sheets and cover with the cheese sauce. Sprinkle over the parmesan cheese and place in the oven for 35-45 minutes until golden brown. Lovely recipe...and delicious, thanks for sharing...! Private Chef In London Say, you got a nice blog post.Really thank you! Really Great.